Last night after the wonderful performance by the lovely ladies of Music City Burlesque, Carmen and I were talking over a cup of tea. 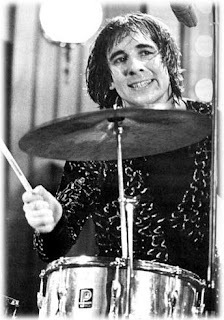 We both agreed that Keith Moon and Animal from the Muppets are very much alike. Not only in style, very much so in character as well!! I thought this very deserving of a post!! Justin Townes Earle tonight @ Exit In. Sweaters Sweaters they need your Sweaters!! Who are you Polly Magoo?